The results prove it’s far too early to declare the nomination contest over. So that wasn’t supposed to happen. Like many Sanders supporters, I spent the weekend bracing myself for Michigan. And not in a good way. The most recent poll had Clinton ahead by 27 points. The RealClearPolitics average had her winning by 21 points. 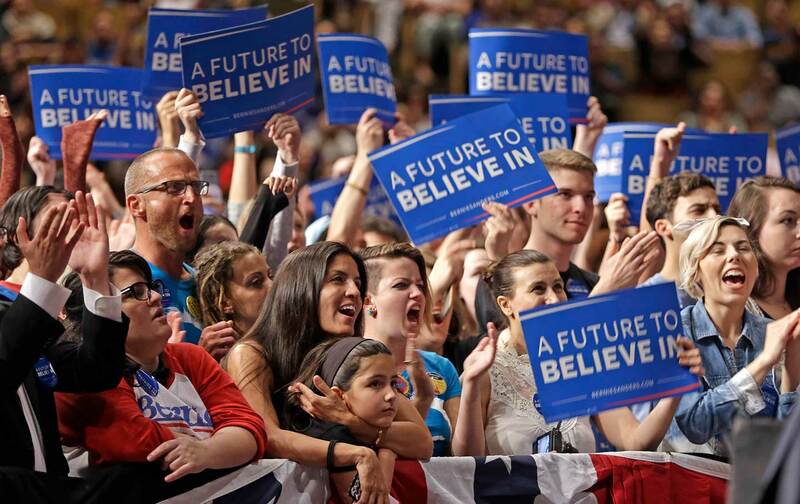 Even the most optimistic poll had Sanders trailing by 13 points. And that was just the maths. There was also the fact that Clinton, to her credit, responded early and effectively to the lead poisoning crisis in Flint. And the way Sanders seemed to shoot himself in the foot in the last debate by appearing to suggest no white voters lived in poverty—or that all blacks lived in “the ghetto.” Of course, that wasn’t what he actually said, but what he did say was easily spun against him, and while that isn’t fair, it is politics. As was, Clinton’s supporters would argue, her claim that Sanders “voted against the money that ended up saving the auto industry”—by itself no more than an artful deception, but coupled with her statement that Sanders “was against the auto bailout,” it was an outright lie. Which Sanders then had to waste precious time—and advertising money—on the eve of the vote rebutting. Call me cynical, but I figured it would probably work, and prepared myself for yet another round of Clinton’s media megaphones singing “Let’s Bury Bernie” this morning. Instead, we have a vivid reminder of how much the Sanders message matters. And why it remains far too early to declare the nomination contest over. As FiveThirtyEight’s Harry Enten admits, to find an upset on the same scale as what Sanders achieved in Michigan, you’d have to go back over 30 years. Those polls that put Illinois and Ohio out of Sanders’s reach look a lot less reliable today. And if Sanders wins in those states, it won’t be his viability as a candidate that is in question. Forestalling that possibility was what last week’s rash of premature defeatism was all about. That, and cutting the legs off the threat to the business-as-usual corporate sock puppetry posed by the kind of mobilized, organized, militant electorate that carried Sanders to victory in Michigan. Because the longer Sanders stays competitive, and the more delegates he brings to the convention, the harder it will be for any nominee—or Democrats further down the ticket—to “pivot” away from pledges to break up big banks, tear up the Trans-Pacific Partnership, block pipelines like Keystone, end voter suppression, prosecute both Wall Street fraud and police violence, and prevent corporations from stashing their profits in overseas tax havens. Which, though it may not add up to a political revolution, wouldn’t be a bad start. Of course, achieving any of that will be a lot harder if the Republicans win in November. But what Michigan shows is that Bernie’s voters are every bit as important to a Democratic victory as Hillary’s. Especially if, as the Michigan results also suggest, those voters include an increasing number of African Americans. Perhaps instead of telling Sanders voters to “get in line” behind the inevitable nominee, Clinton supporters should tell their candidate to stop telling lies. But we also must say clearly that the Hillary supporters need to stop denigrating Bernie as a racist or sexist when he clearly isn’t, stop condescending to his supporters for wanting fundamental, rather than cosmetic, change to our rigged economy and corrupt politics, and stop using the kind of underhanded, Nixonian tactics that seem designed to keep Sanders voters home in November. Meanwhile, I hope Sanders supporters also allow themselves a moment to celebrate. And then get back to work in Ohio, Illinois, Florida, New York, and Pennsylvania, and onward to California!